Which girl from the Twilight Series would Du wanna be? What book of the Twilight Saga Du like most? Do Du think that Jasper's ability is cool? If Du got changed into a vampire, who would Du want to do it? 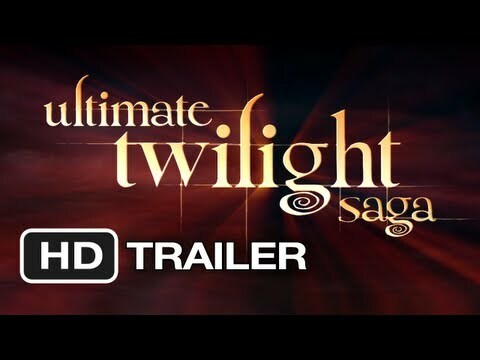 if u Liebe twilight click here !!! if Du were a boy who would Du rather alice oder rosalie? Hi, this is the 17th chapter of My True Love. Some of Du may have not read it, if Du havent then please read on, but Du might want to go and check out the others first (they are all on my page) the next-and last!- chapter will be gepostet in a few days so, keep and eye out and I hope Du enjoy! We had all come here for a picnic today, in the meadow, because it was a sunny day. We were all here the whole pack and all of the Cullen’s. The meadow was deserted and it looked peaceful and serene with regenbogen spots dancing around. Sorry for the delay of chapter 24- my computer broke *arrrg! * so I had to re-write the whole chapter- but I hope Du enjoy. Sorry for the delay I have had some sever mental block and I couldnt think of anything to write LOL! Enjoy chapter 12 and remember to feedback and keep looking for chapter 13! Amber/Twilightsauce. Okay so this chapter is my favourite and I think Du are going to enjoy (crossed fingers) it! Okay so just remeber to leave your feedback-it's always great to see it. Alice wouldn’t let me go until she and Rosalie had gegeben me a complete makeover; I didn’t complain though, it was nice to have girl time. Jacob gave me a dazzling smile as I walked back into the living room a full Stunde later, he and Emmet and jasper had probably been chatting about some new turbo engine. Okay shapter 10 is finally ready and chapter 11 is well on its way (I think Du will like chapter 11!) so keep looking for it! Everyone was on guard; I was still recovering from Nahul’s... I couldn’t think about it brought back the unpleasant memories. Hey, here is Chapter 9 enjoy! It was like someone was trying to wake me from a deep sleep. I wanted to wake up but I couldn’t Bewegen there was too much pain. That’s when I heard the voice, his beautiful voice. “No Nessie, don’t stop breathing. Keep your herz beating, breath Nessie breathe!” Jacob sobbed over my chest. “Jacob, Du need to let me look at her, it’s the only way to save her,” Carlisle said, worry in his calm voice. Jacob didn’t say anything but leaned back and took my hand. These last few hours had been the worst of my life. Nothing was normal, and it wouldn’t be until this was sorted out. Alice’s vision had horrified all of us. She had seen thousands of clips of me sitting in a dark room, screaming and withering in pain, and then she had seen me dead and tortured. She had also seen me in hospital, and in Jacobs’s arms. The meanings of this had been discussed over and over in the following hours but we had only come to one conclusion, it was Nahul who would put me in this situation. a comment was made to the poll: My Friends keep saying harry potter is better!! What do I say? What is Bella's and Edward's tragic flaw in Eclipse?